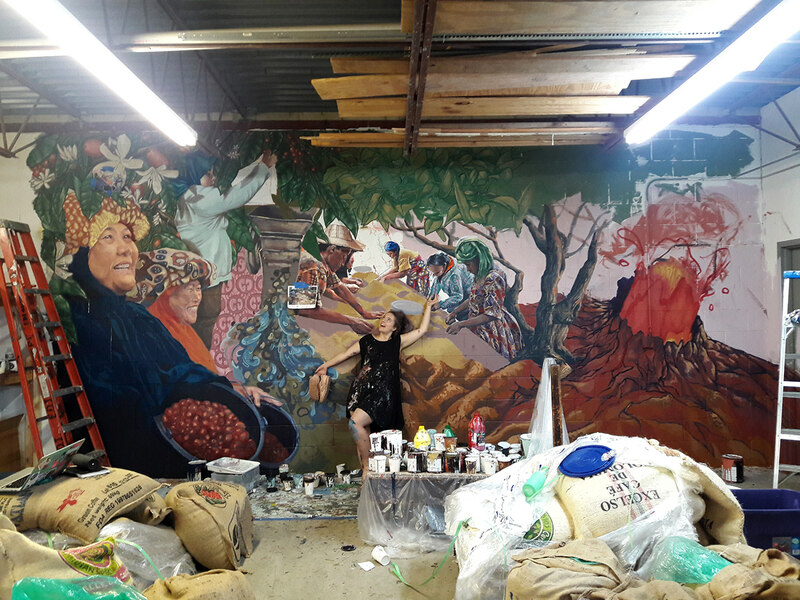 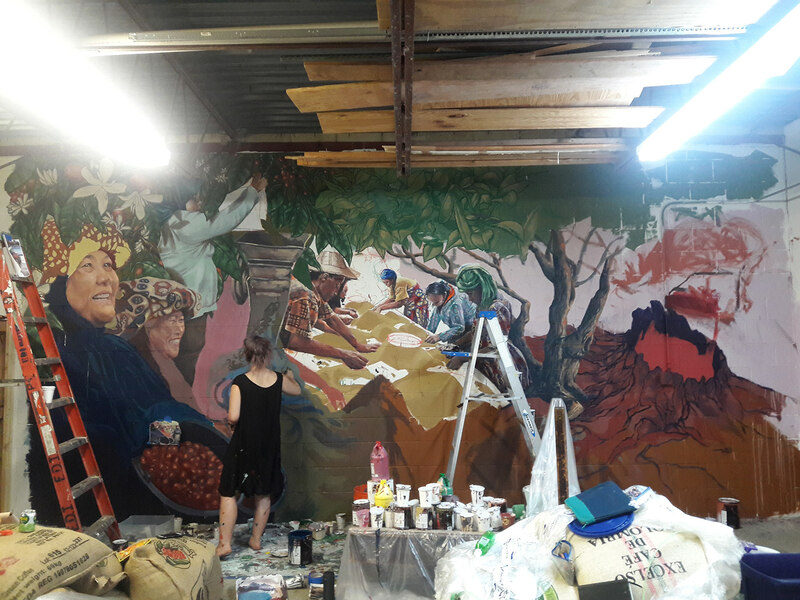 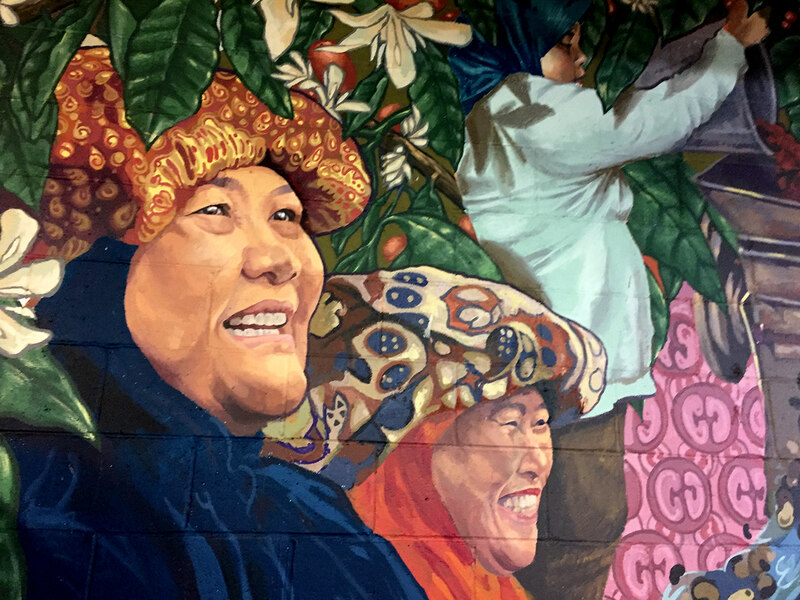 My talented parter Maggie Tseng and I designed and painted this monstrous mural for Good as Gold Coffee Manufacturing. 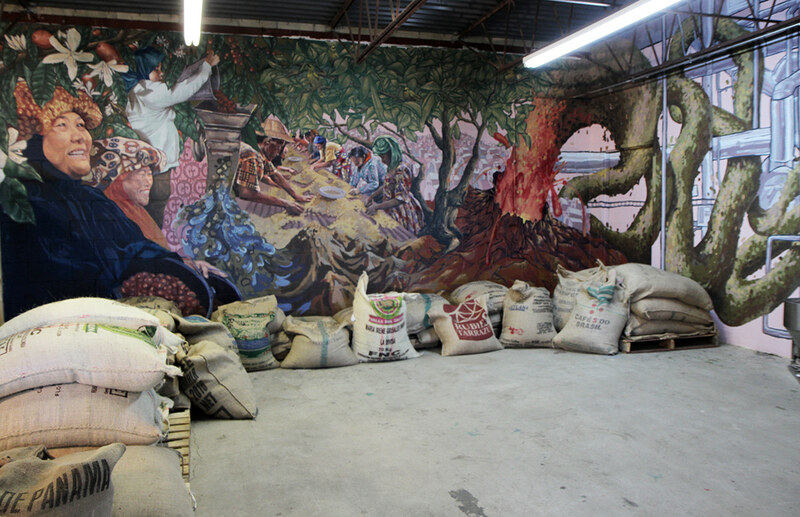 We wanted to highlight the vitality of interconnected parts of their fair trade, dry roasting coffee operation. 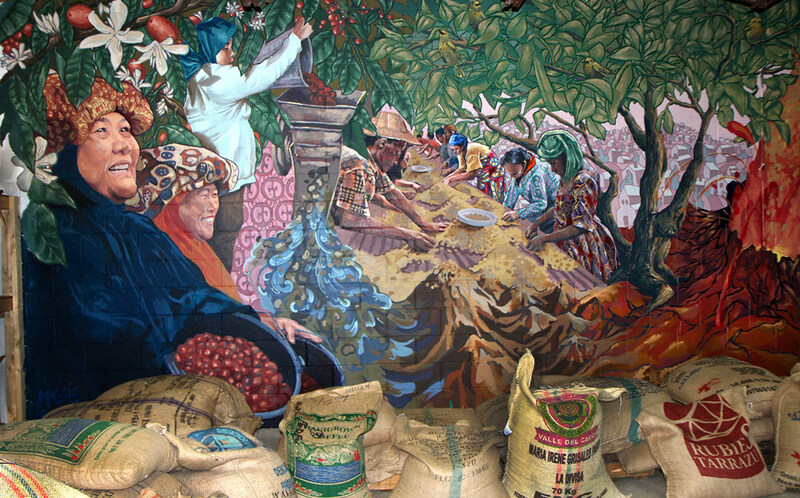 The lava that richens the soil, the spices of birds that rely on shade of canopies, the time honored traditions of the communities who harvest it around the world, the structure of the bean itself- through a combination of pattern making, traditional illustration and a lot of trail and error, we tried show how they come together to make a unique whole.